Deep sea coral. 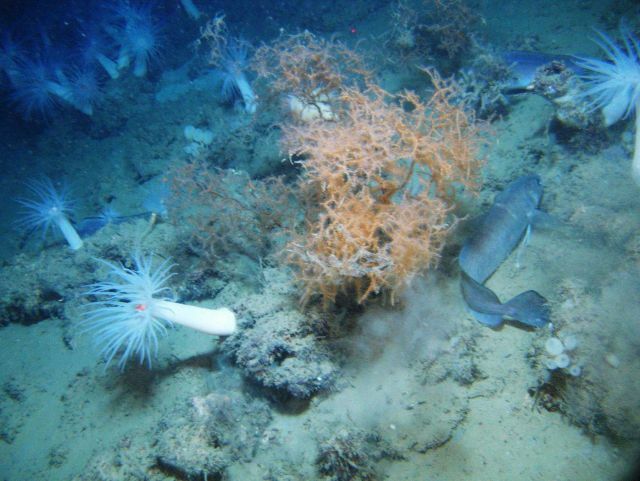 Orange “black coral” Leiopathes glaberrima with longfin hake at its base. Two other longfin hake can be seen and large white anemones with orange mouths.